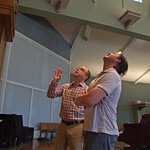 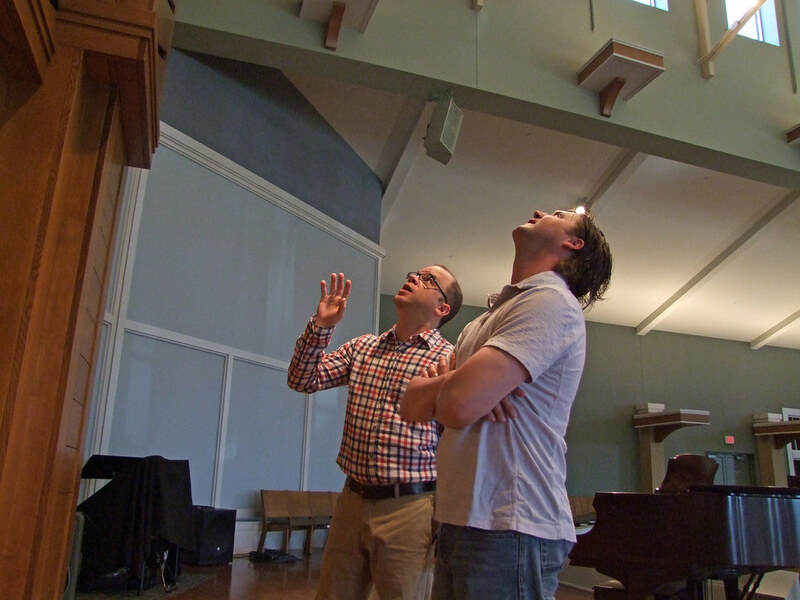 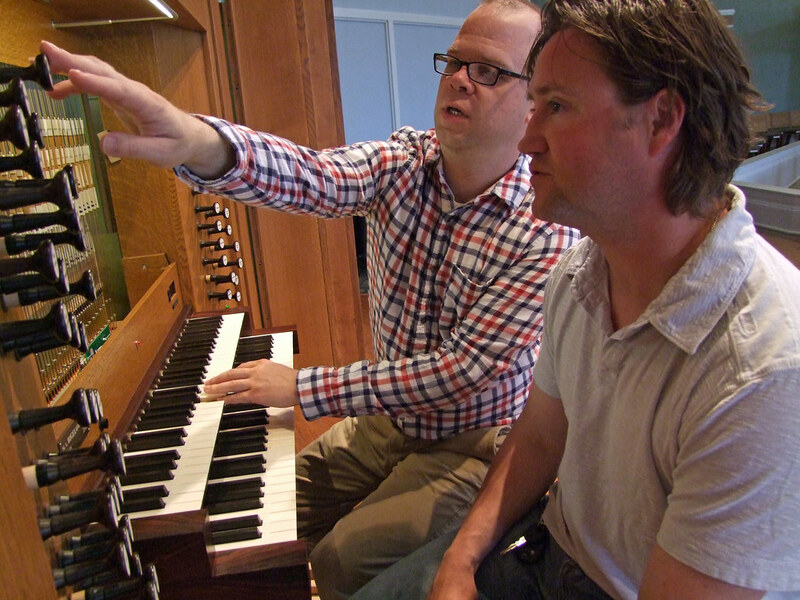 Awe-inspiring music is a distinct characteristic of St. Paul worship. 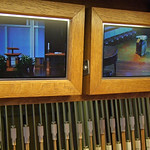 With its warm and enveloping voice, the St. Paul pipe organ was crafted to lead magnificent worship to the glory of God. 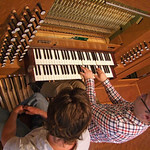 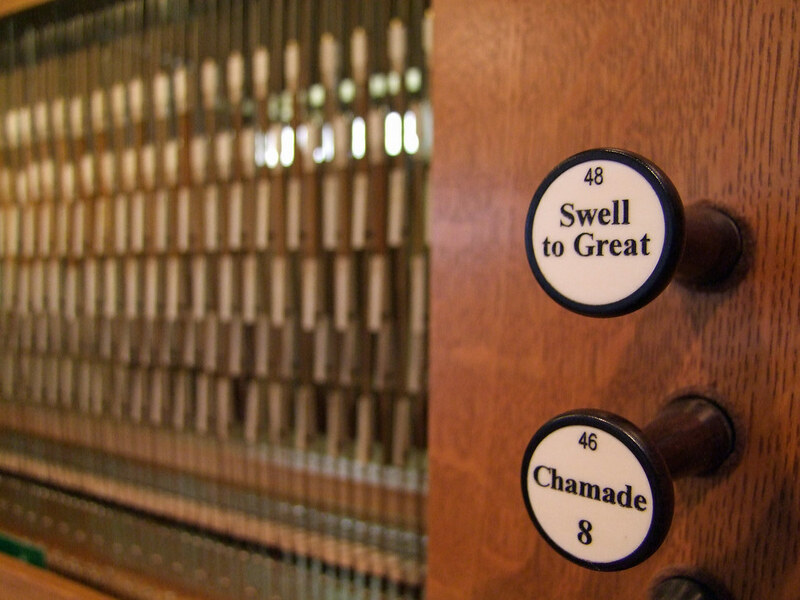 The soaring instrument is considered one of the finest pipe organs in the region. 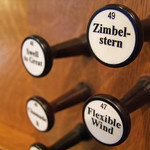 The design takes its inspiration from composer Johann Sebastian Bach’s signature “SDG,” which ended many of his musical manuscripts. 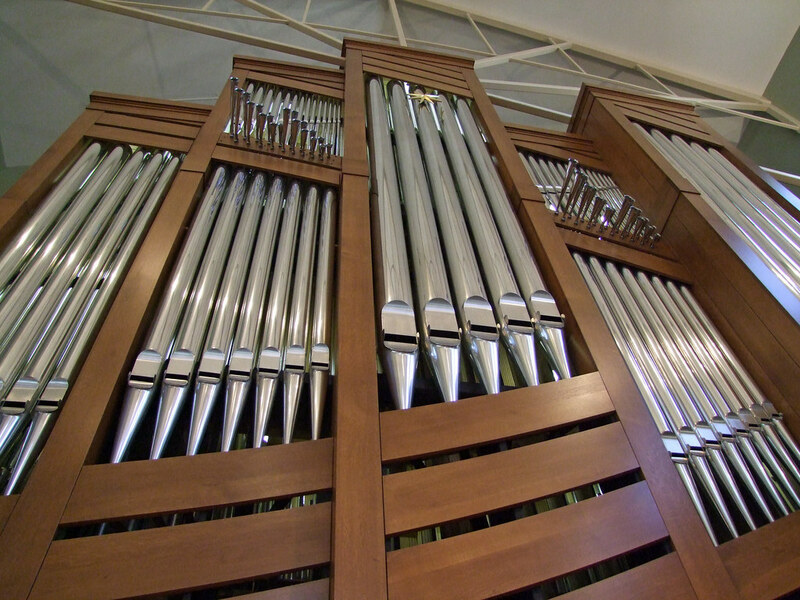 The initials stand for Soli Deo Gloria (Glory to God alone) – meaning that people of faith are inspired by God’s glory and not their own. 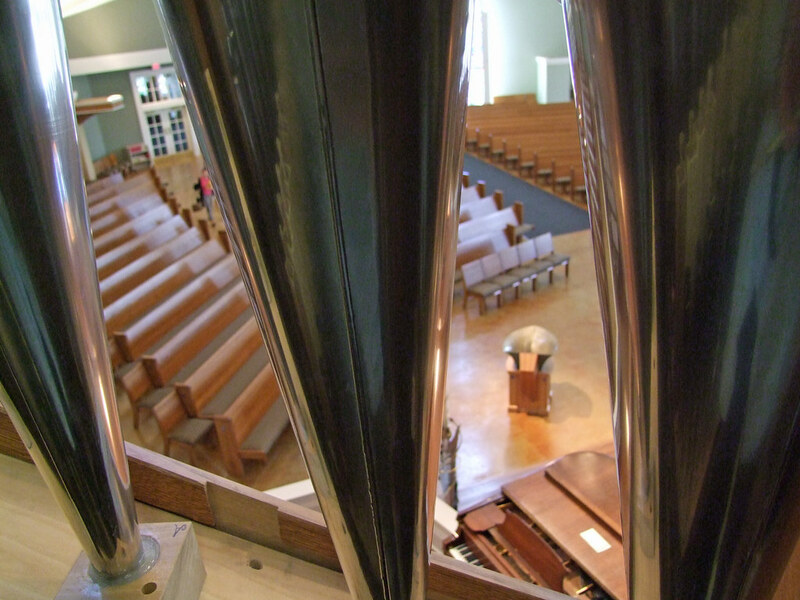 Housed in a Sanctuary with acoustical excellence, the pipe organ leads strong congregational singing – and is a centerpiece for many musical events. 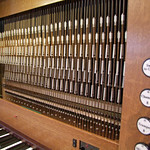 The organ case stands nearly 36 feet tall at the highest tower. 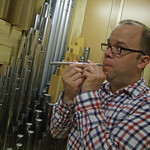 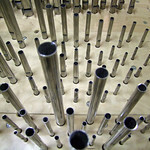 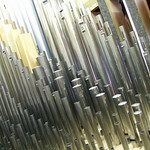 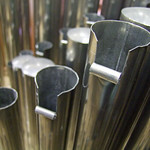 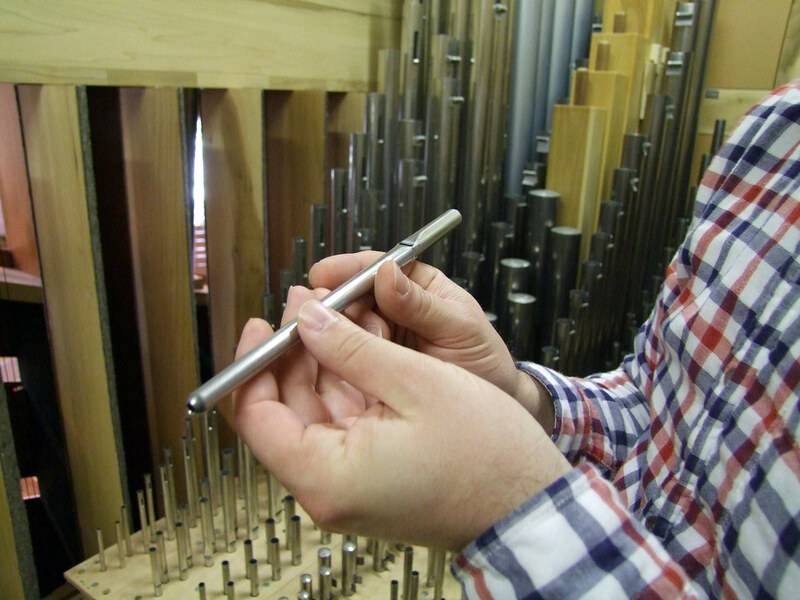 From pencil-sized pipes to the soaring 16-foot “Low C” pipe in the organ facade, the pipes number 2,335. 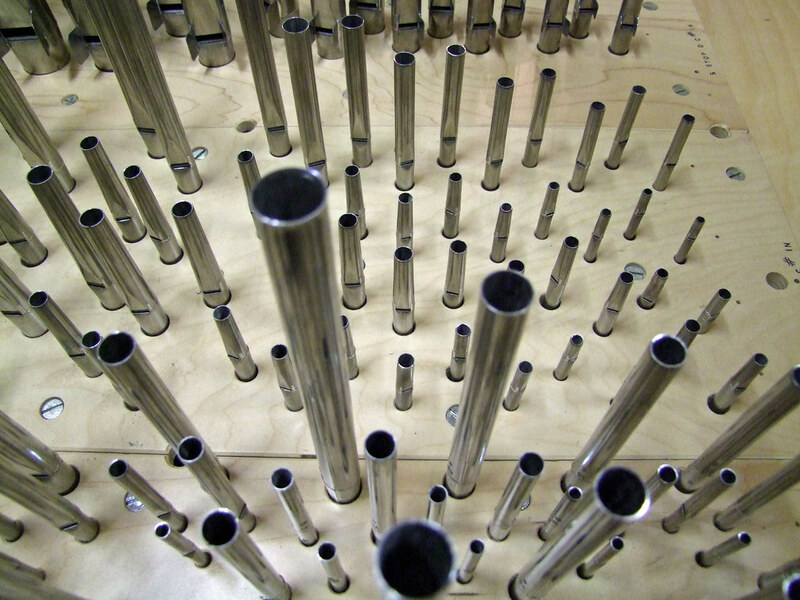 Materials from all over the world combine for musical excellence. 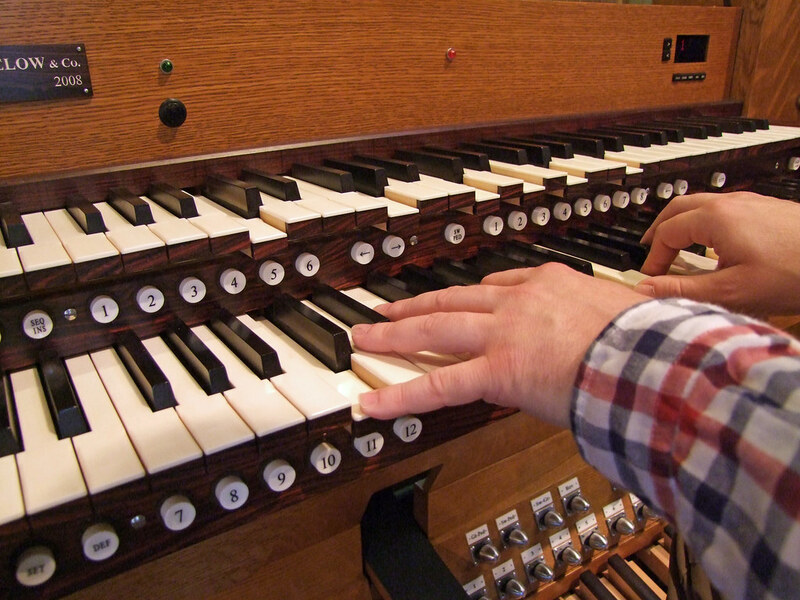 Two keyboards, crafted of bone and ivory, originated in England. 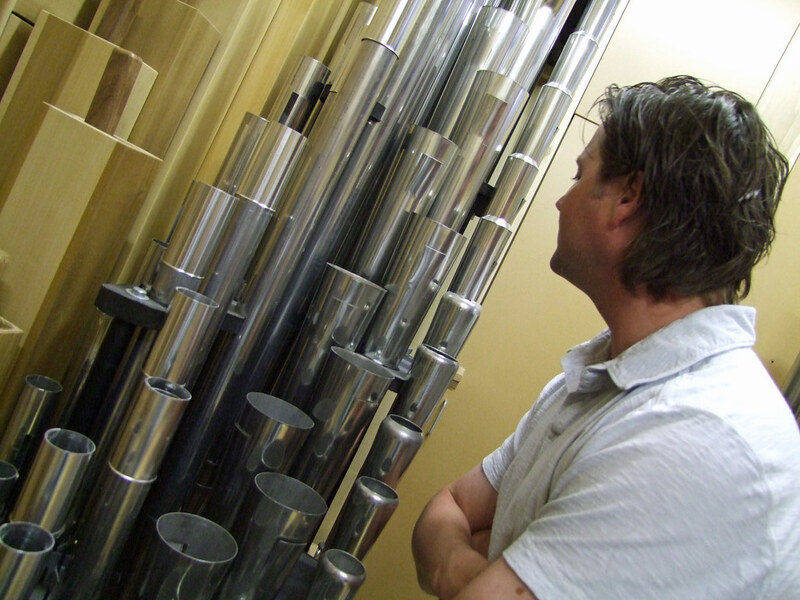 Metal pipes were built in Holland. 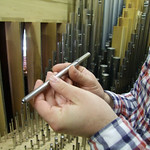 Reed pipes came from Germany. 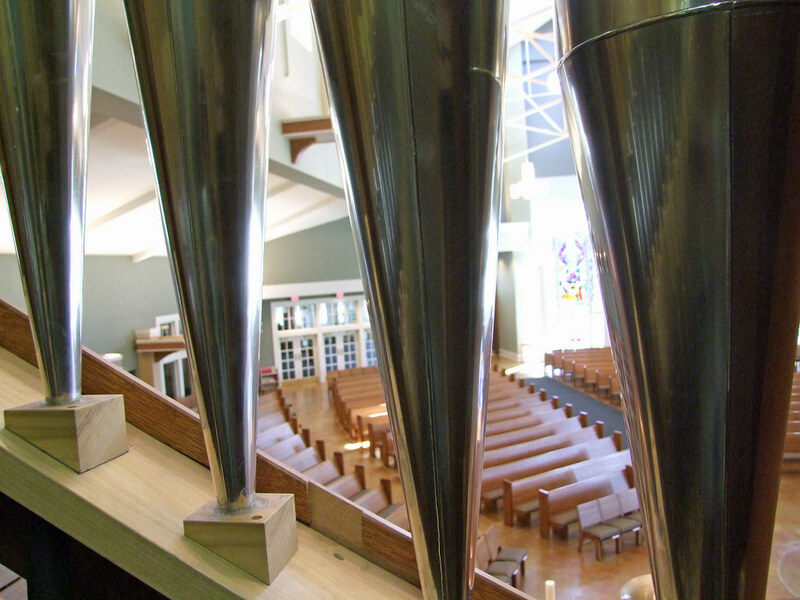 Inspired by the uplifting architecture of the St. Paul Sanctuary, the artisans of M.L. 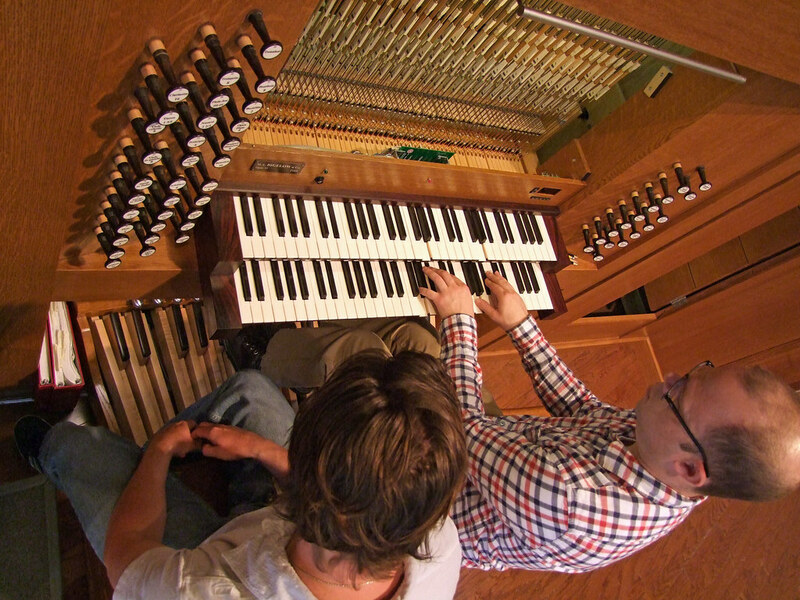 Bigelow & Co. of American Fork, Utah, custom-designed the distinctive asymmetric case and the instrument’s fine musical qualities. 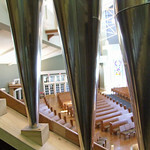 Sanctuary acoustics were specified to enhance instrumental and vocal sound. 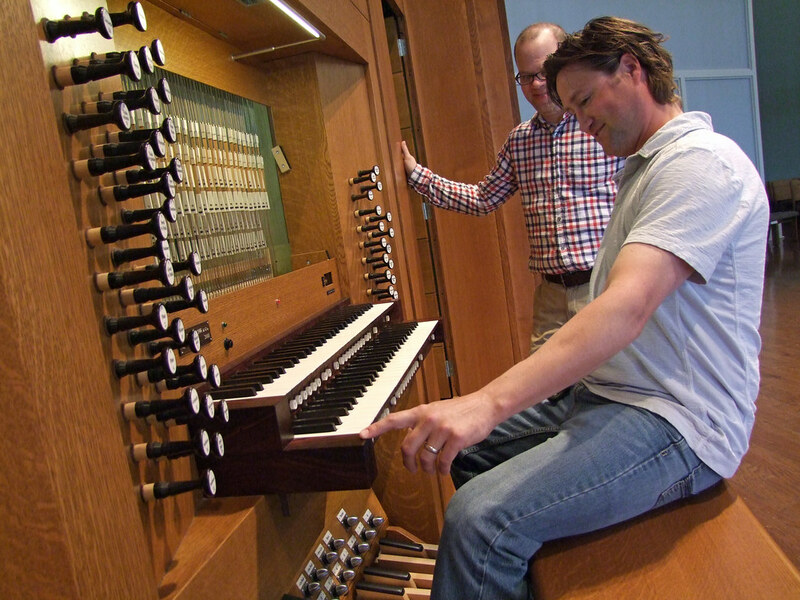 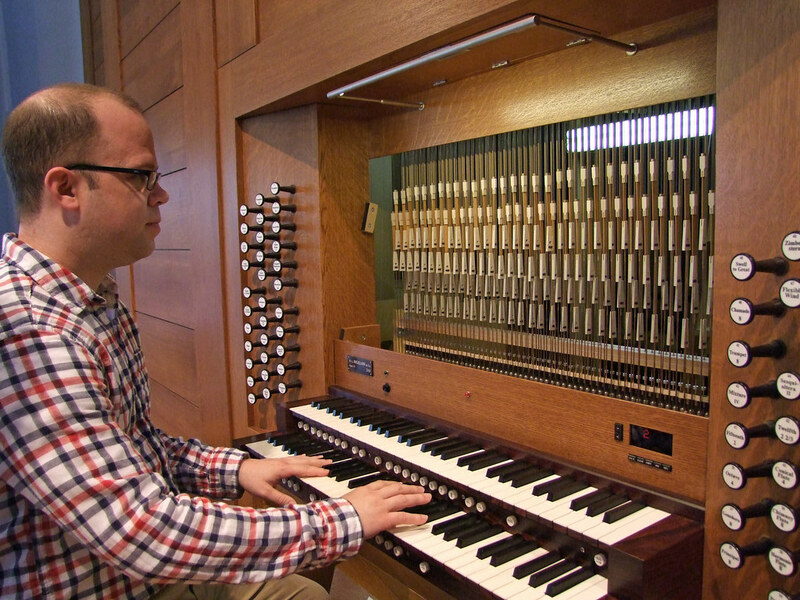 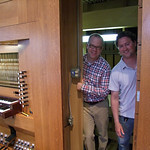 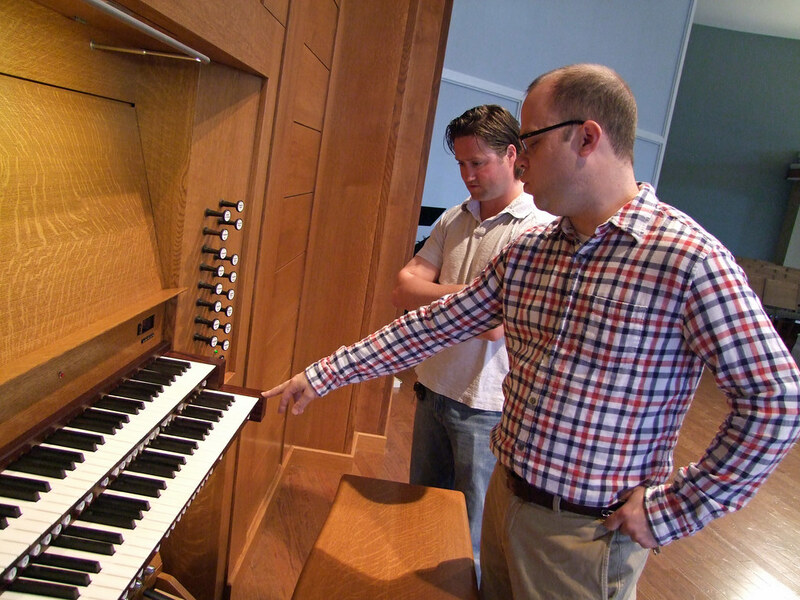 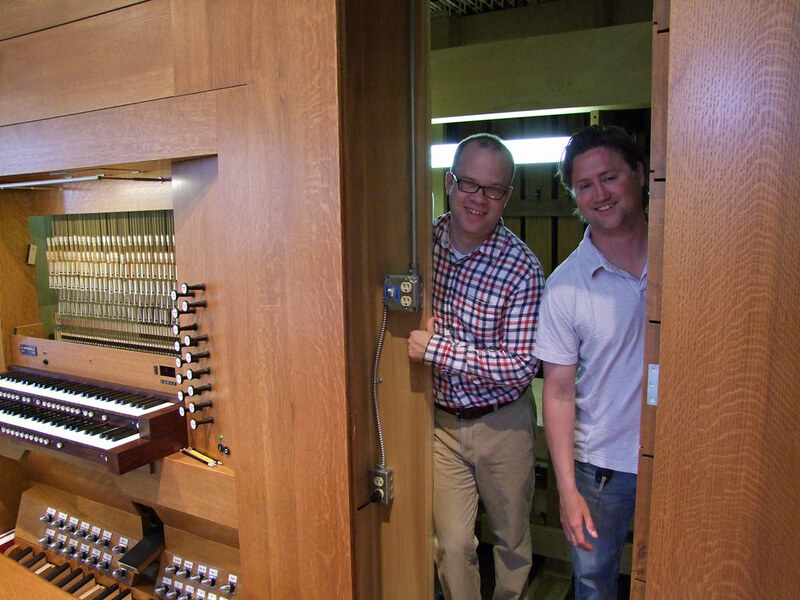 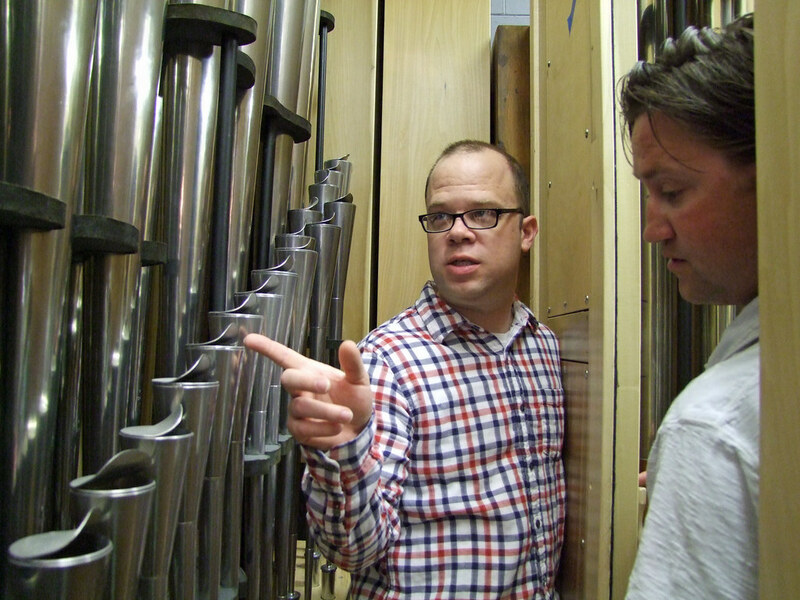 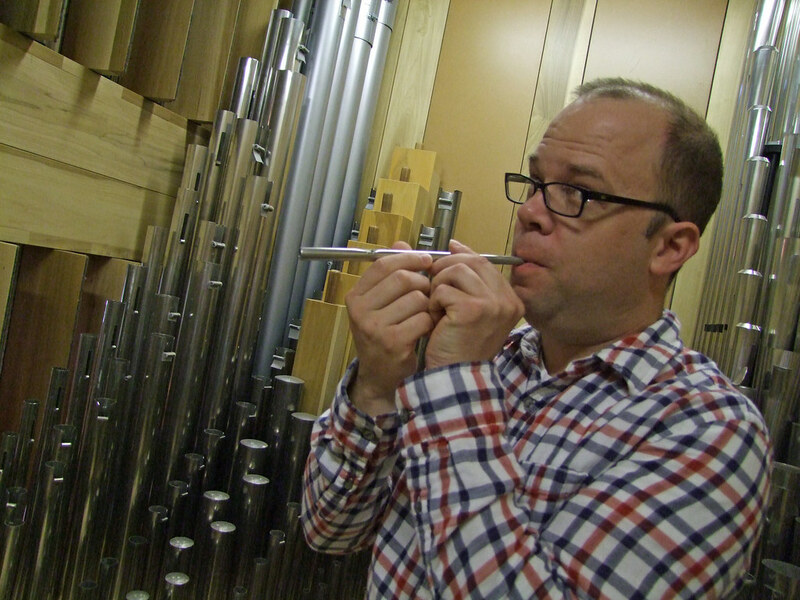 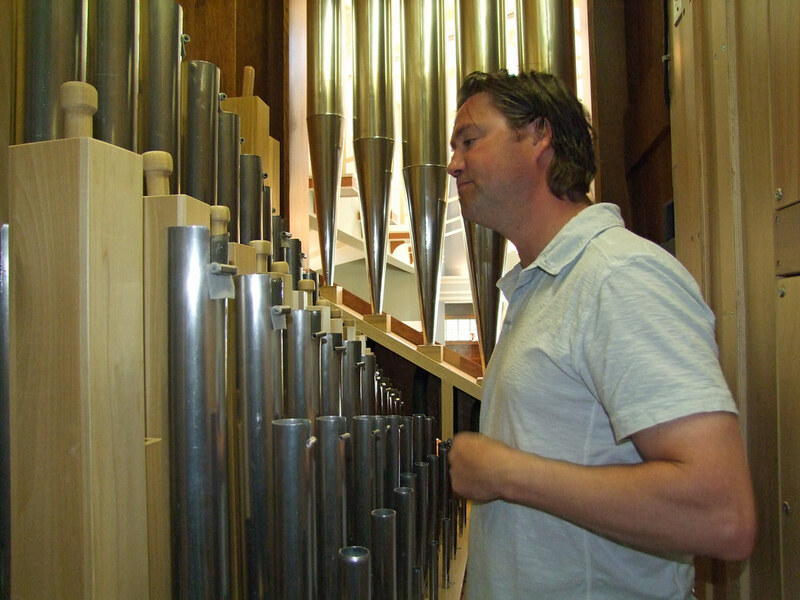 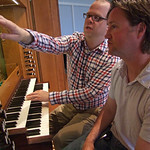 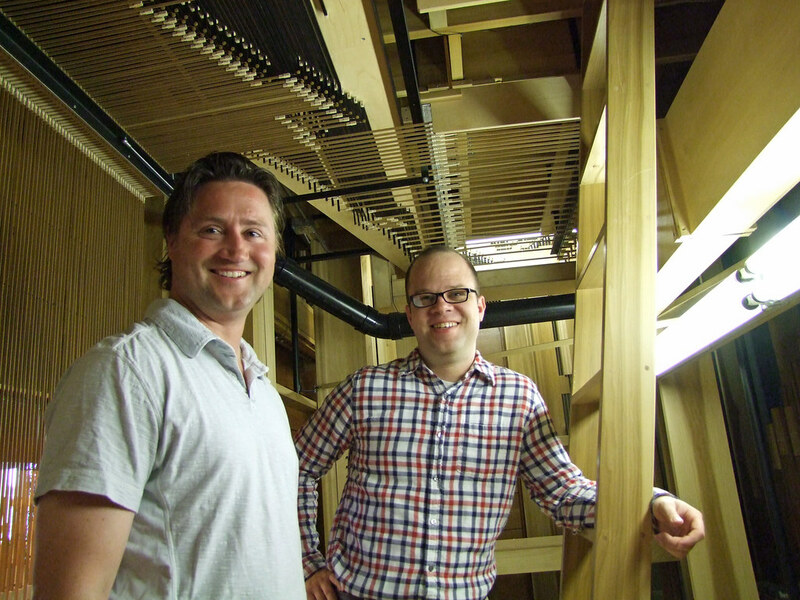 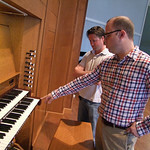 St. Paul’s organ is Bigelow’s “Opus 33,” the thirty-third instrument crafted by the company. 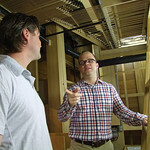 It was conceived and constructed over a two-year period in their Utah workshop. 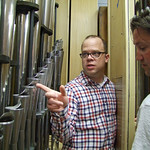 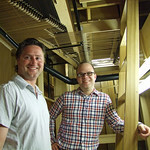 The pipe organ was dismantled for its cross-country journey to Davenport, Iowa, aboard two 53-foot semis. 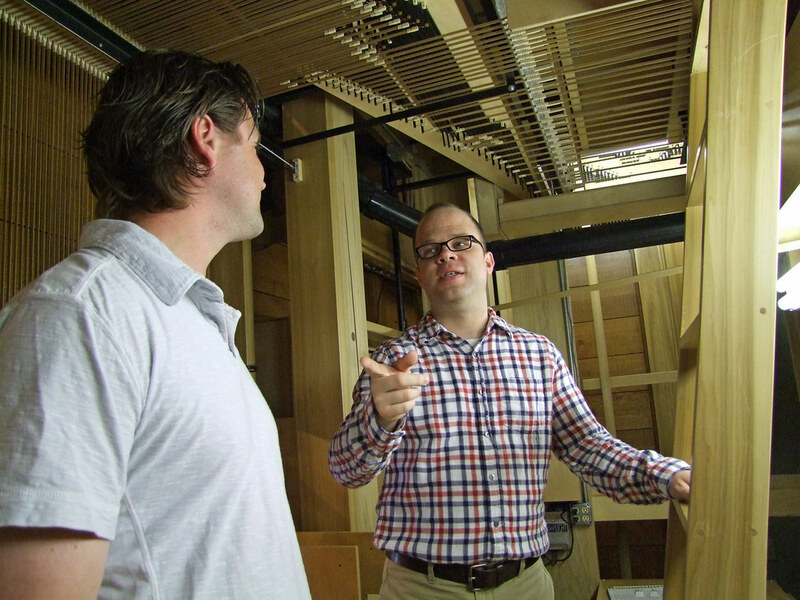 It was then meticulously rebuilt and voiced on site. 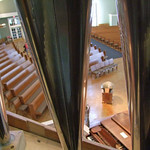 The organ was dedicated in December 2008. 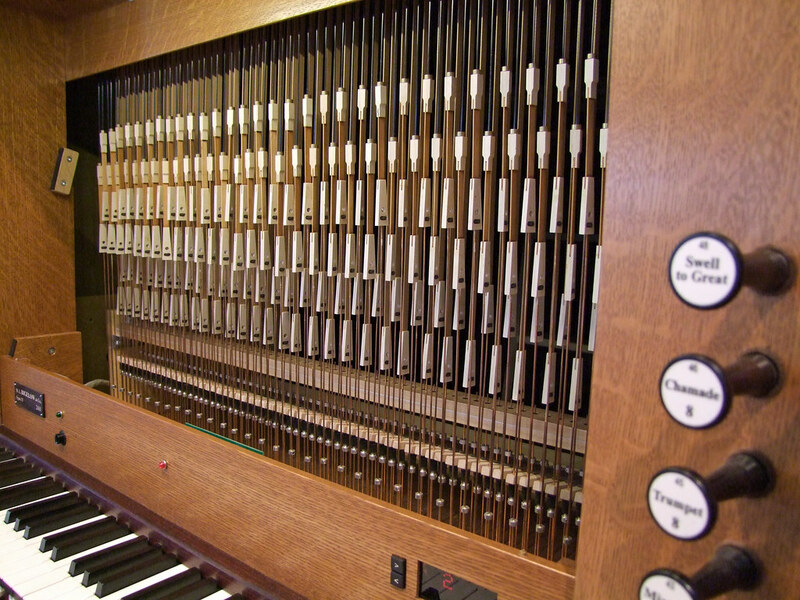 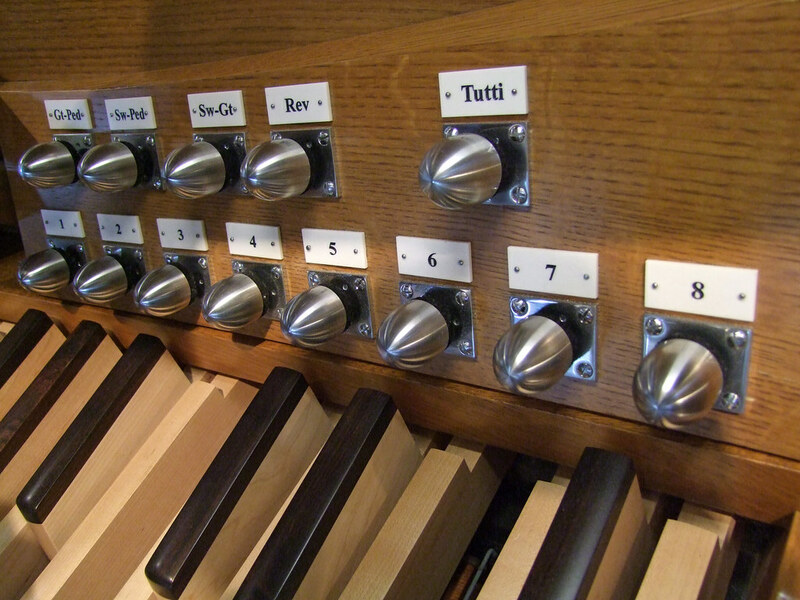 The mechanical-action tracker organ is constructed with 44 ranks and 43 stops (with 37 independent voices). 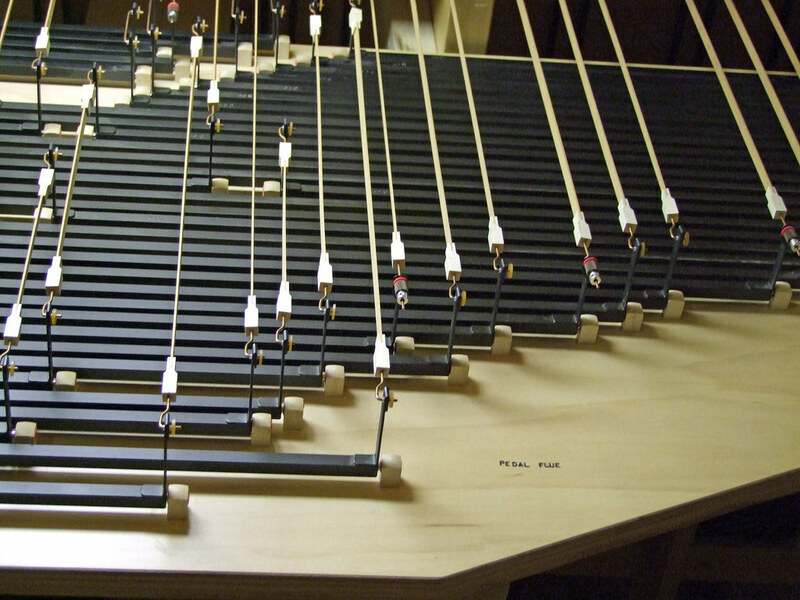 Each manual keyboard is constructed of 61 notes, with 32 notes on the pedal keyboard. 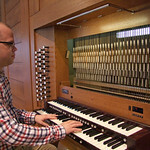 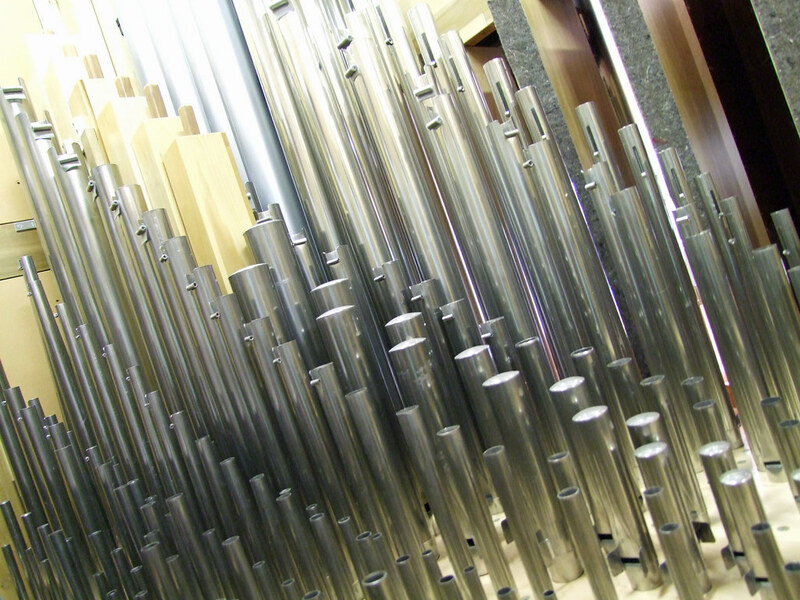 A range of 2,335 pipes creates the vivid and versatile sound of the St. Paul pipe organ. 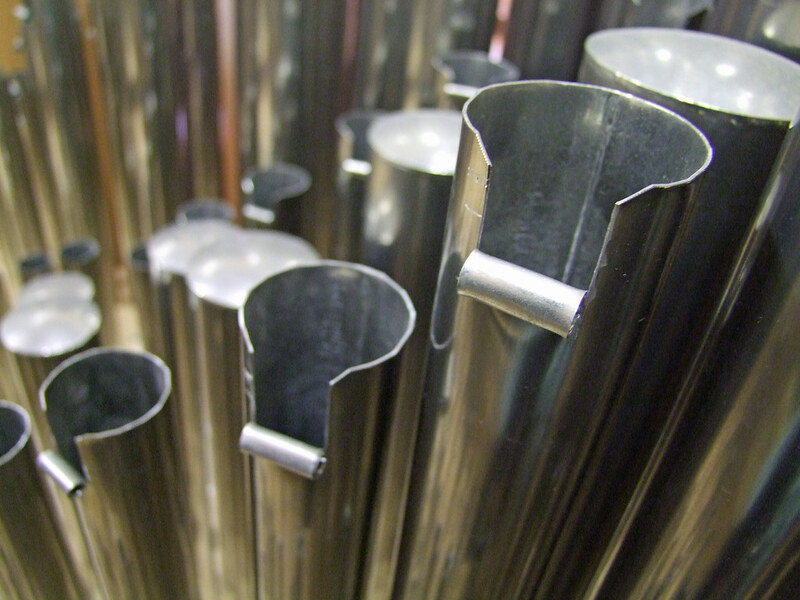 The metal pipes are made of tin, lead, and zinc. 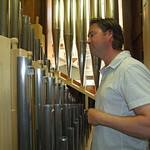 The wooden pipes are oak and poplar. 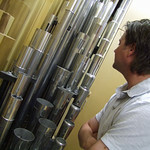 The longest pipe stretches to 16 feet. 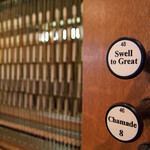 The shortest is a mere three-quarters of an inch. 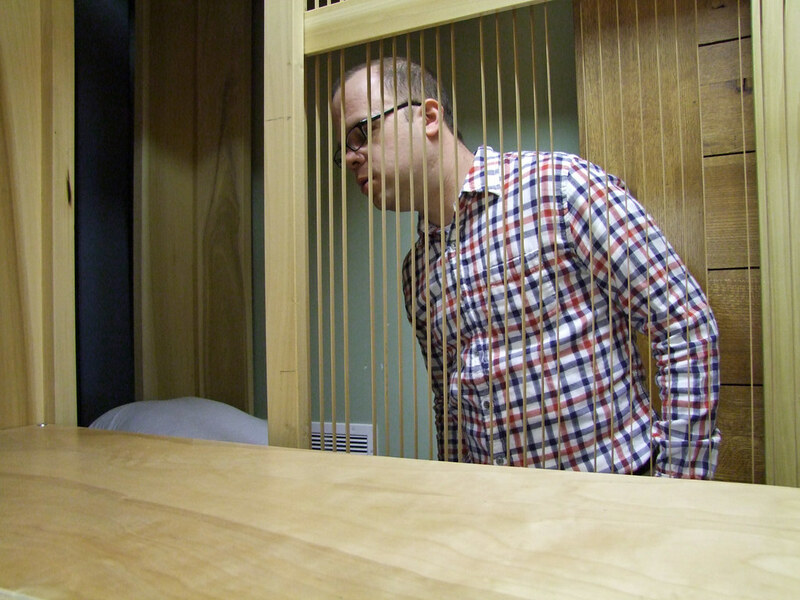 The finely-polished cabinetry is crafted of quarter-sawn white oak. 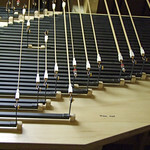 Surrounding the keyboards is cocobolo, a beautiful wood of Central America. 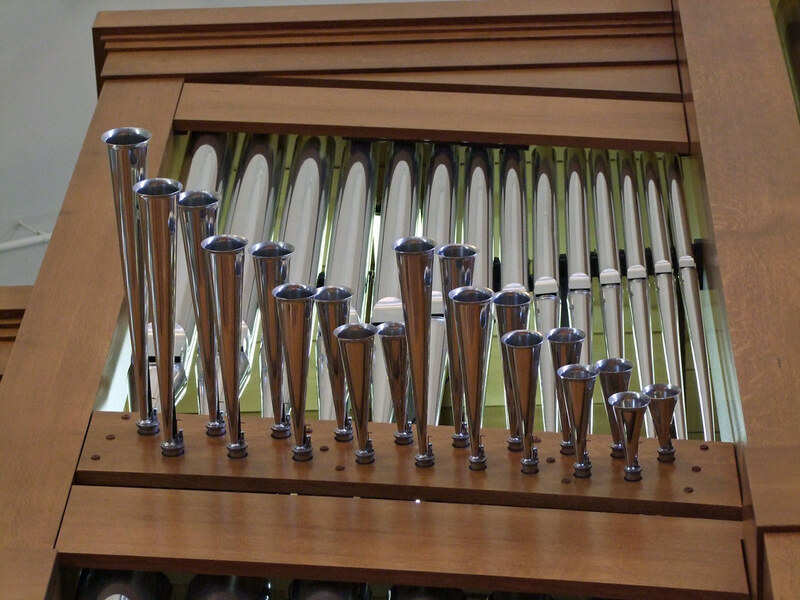 A visible star-like feature is mounted high on the organ. 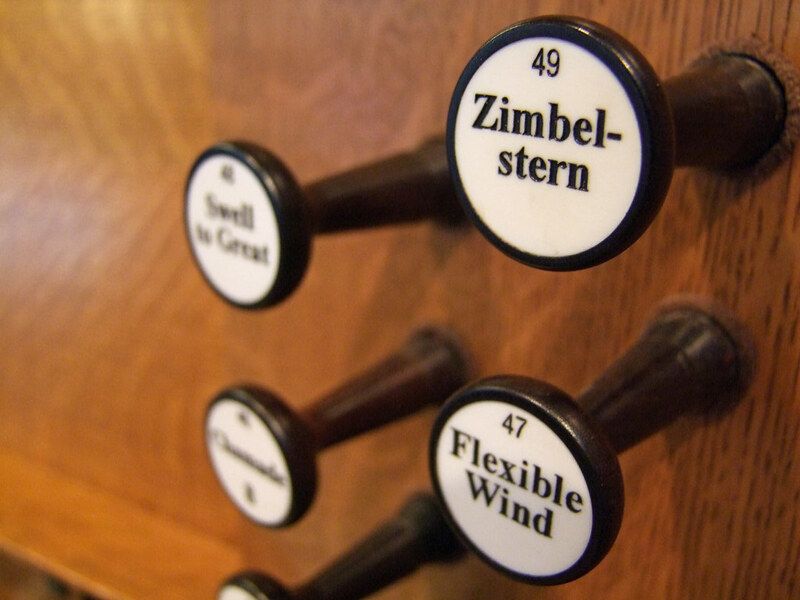 When this cymbelstern (or bell star) is played, eight bells make a continuous tinkling sound – a festive and surprising accent to worship. 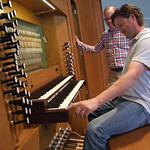 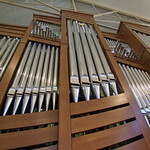 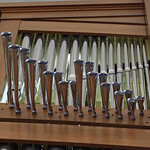 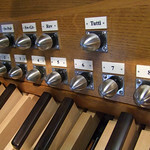 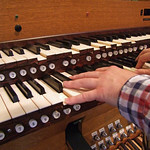 The organ is driven by electric stop action, with state-of-the-art digital memory. 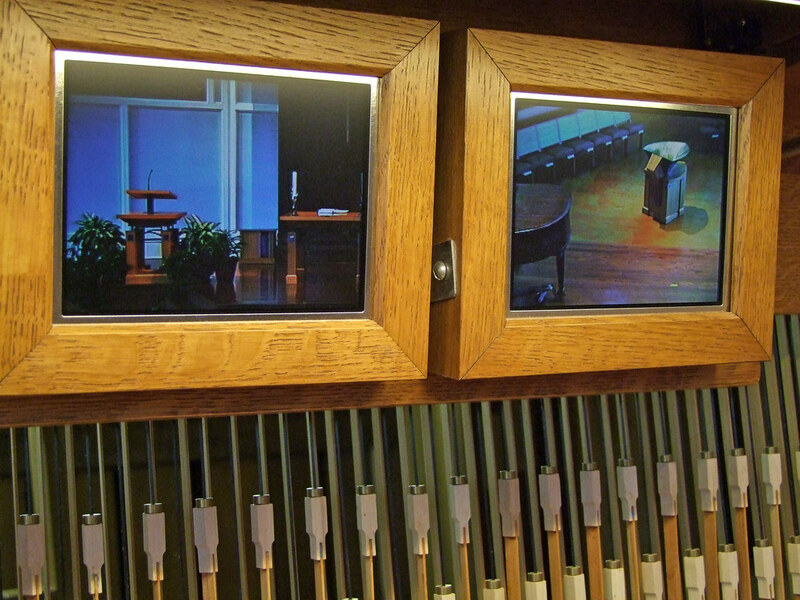 Two video monitors, connected to closed-circuit cameras, provide the organist with a view of the Sanctuary.